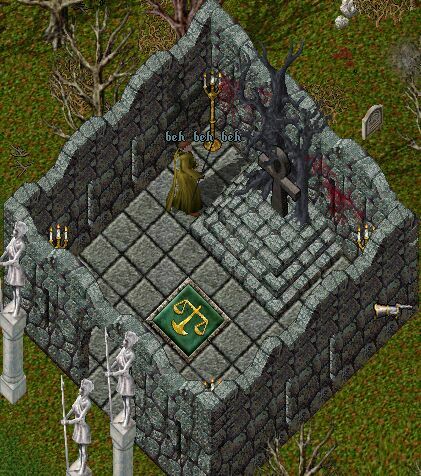 Ultima Online Alignment Matrix - Includes an overview of the organized alignments within UO, as well as a selective glossary. weapon damage bonus FAQ [Stratics UO Hall] - (2005-01-07) Describes the factors and formulas used in calculating how much damage a weapon does. re-orient BODs as an optional part of the crafting profession. Both runic tools and fortification powder would be removed from the set of BOD rewards. The threaded table at the bottom of the post lists all the main sections, but in reverse-posted order. It is still useful to understand the full scope. Lost Lands, the facet - (2004-12-13) Too many towns and too many banks mean UO's sense of community is hindered. Merge the Lost Lands into a single, Felucca-ruleset facet, and include Nujel'm as well. Begging and Busking - (2004-10-19) Busking would be a new bard skill, street musician. bowyer-craftable quivers - (2004-10-12) Quivers would hold arrows and bolts. They would be blessable so that an archer could get resurrected and immediately be able to defend himself. citizen of balance [usenet] - (2003-03-27) Implementing the monk as a profession type. Involves no new skills. Interactive Color Wheel - not UO-related, but it is my most popular page.